These macarons are the ultimate indulgence! 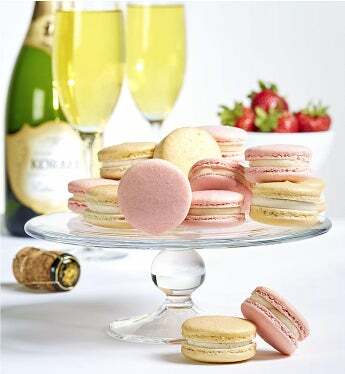 This divine combination of Champagne and Strawberry Shortcake Flavors will really make an impression on even the most discriminating! This set of 12 macarons comes in an attractive acetate box with ribbon. Gluten free too! - made with almond flour. Kosher, OU D.